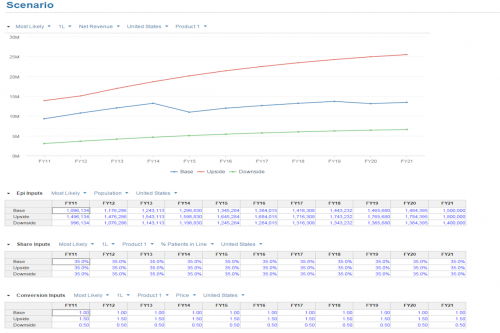 Crossbow Cloud is a proprietary ZS forecast model optimized for the pharmaceutical industry. The model leverages the Anaplan platform to facilitate a collaborative forecasting process and produce real time roll-ups of forecasts across brands and markets. The Anaplan foundation also allows for a high degree of flexibility both in terms of forecast structure and input values taken, enabling end users to perform extensive customization. The output metrics of Crossbow Cloud are designed to deliver the most impactful and relevant business insights surrounding the forecasting process. Crossbow Cloud allows users to simultaneously interact and share information within a single model, all while complying with clearly defined user access rights and restrictions. Changes to model inputs, assumptions, and outputs can be seen in real-time, eliminating the need for file transfer and version control. 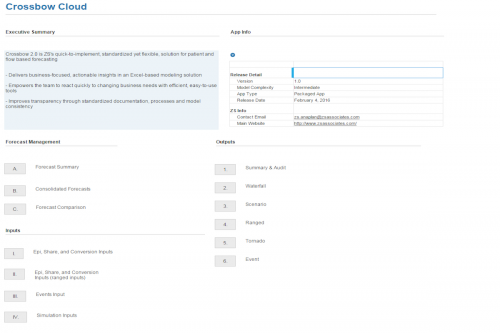 Forecast calculations in Crossbow Cloud are linked to Anaplan’s dynamic list and line item structure. Therefore, making significant foundational changes to the model, such as adding products, events, customer segments, or calculation logic, can all be quickly incorporated into the model. Crossbow Cloud utilizes Anaplan’s “Versions” functionality to create different forecast scenarios and compare them against one another. Scenarios can be defined by any set of inputs included in the model as well as any events that might affect it. Base, upside, and downside scenarios are all built into the tool; these scenarios can be renamed and additional scenarios can be added. 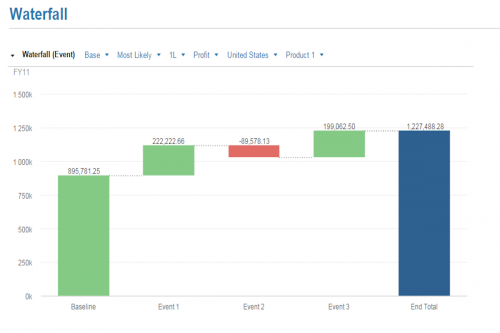 Forecast events can be simulated in Crossbow Cloud by defining the event impact on specific inputs, either as an absolute change or as a percentage of the original value. 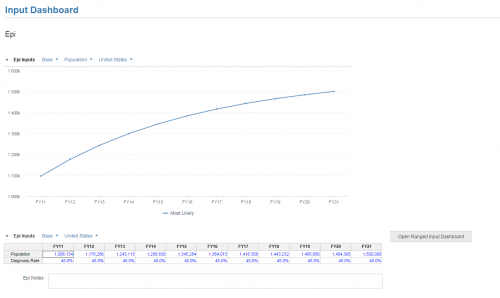 Additionally, events affecting market share values of multiple products will have their share percentages automatically re-distributed via an interactive allocation table. 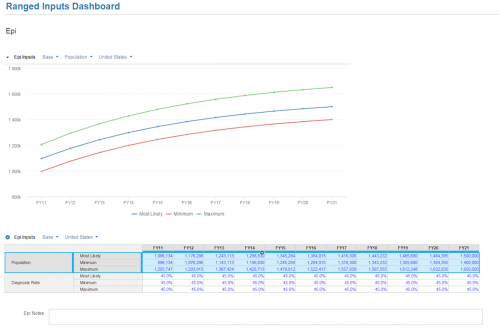 The audit table shows all inputs and key outputs that reflect overall forecast calculation flow. Selecting any item in the audit table will update the summary chart, allowing you to drill down into a view of that metric over time. The waterfall chart provides a visual representation of the impact of both events and time on a selected key metric. Years, ranged inputs, and scenarios can be altered to analyze output changes under different circumstances.